The children of Prince William and Kate Middleton, Duke and Duchess of Cambridge, have captivated the entire world. 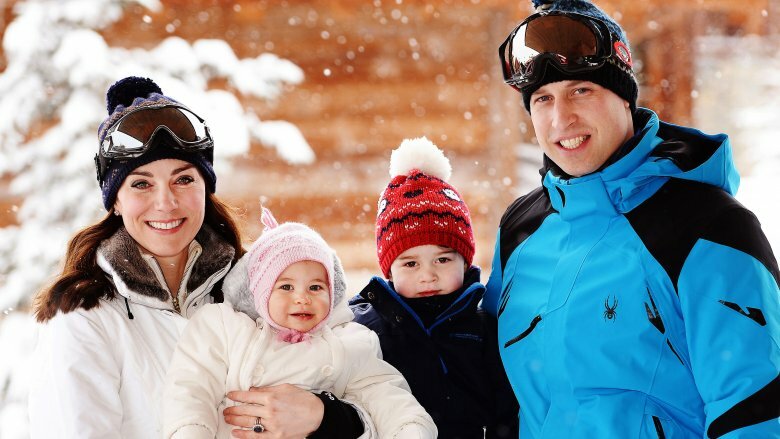 All eyes are on the royal family as their impossibly cute crew continues to grow. Prince George (born July 22, 2013) and Princess Charlotte (born May 2, 2015) were joined by our latest squishy obsession, little Prince Louis, born April 23, 2018. 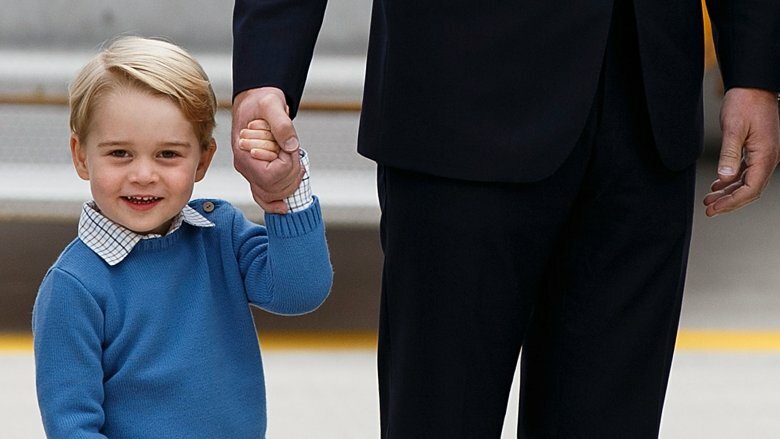 In light of such happy news, we're taking a closer look into the lives of George, Charlotte, and Louis to reveal what they eat for lunch at school, George's adorable nickname for the queen, how they're already fashion trendsetters, why their parents still want them to have a normal life, and a whole lot more. For example, did you know that Prince Louis is the heaviest future King of England to be born in a century? Without further ado, here's what you didn't know about Prince William and Kate Middleton's kids. Kate Middleton's first pregnancy was confirmed in December 2012 after she was hospitalized with arguably the most talked-about (and hard to pronounce) medical term of the year, hyperemesis gravidarum, or acute morning sickness. While the word "acute" may sound a whole lot like "cute," the symptoms that come with hyperemeis gravidarum can be quite the opposite. Indeed, one expert claimed they can be both "debilitating" and "miserable." Unfortunately, Middleton also battled hyperemesis gravidarum while pregnant with her second child, daughter Charlotte, as well as while pregnant with her third, son Louis. In all three cases, her pregnancies had to be announced early after the symptoms she was experiencing forced her to cancel public events. 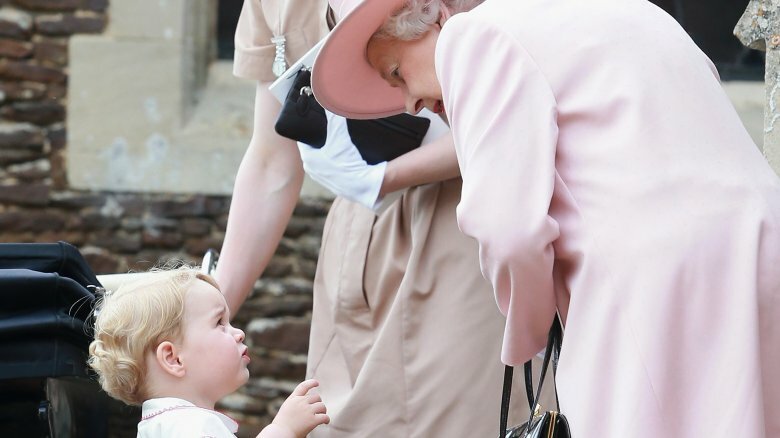 To the rest of the world, Queen Elizabeth II is known officially as her majesty the queen, or more colloquially, the queen, but to young Prince George, she's simply called "Gan-Gan." George's mother revealed as much in a 2016 documentary celebrating the queen's 90th birthday. 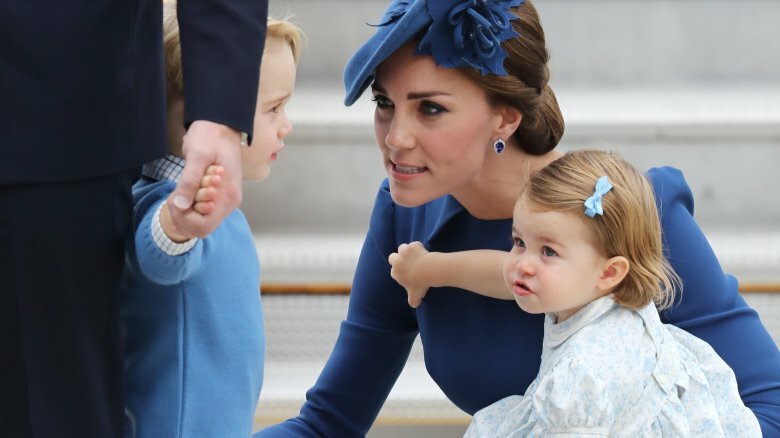 "George is only two and a half and he calls her Gan-Gan," Middleton said (via Express). "She always leaves a little gift or something in their room when we go and stay and that just shows her love for the family." At the time, Middleton also praised the Queen's A+ grandmothering, saying, "She's been very generous in not being forceful at all and in any of her views, but I feel she's been there, a gentle guidance really for me." 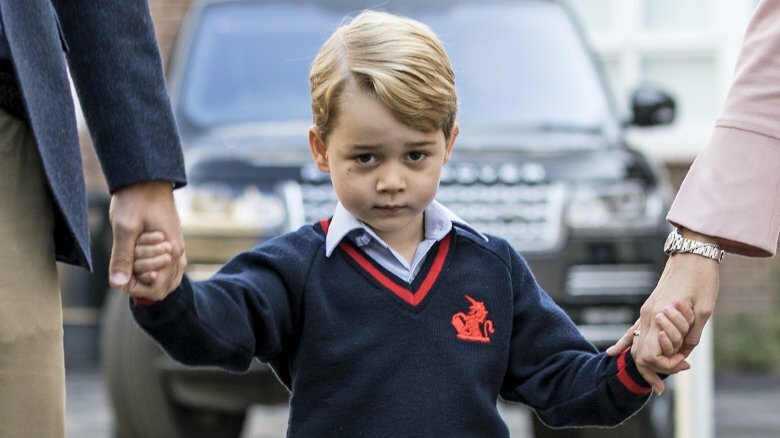 Hard as it may be to believe, a 4-year-old Prince George enrolled at Thomas's Battersea, a private primary school located in London, in September 2017. According to The Good Schools Guide (via People), the $23,000 per-year school (yep) is described as "a big, busy, slightly chaotic school for cosmopolitan parents who want their children to have the best English education money can buy." What exactly does that hefty tuition get you? Well, among other things, a pretty insane lunch menu that includes everything from organic milk, to Mediterranean couscous and Portuguese egg custard tarts. Yeah, America may have won the Revolutionary War, but England is definitely winning the battle of school lunches. 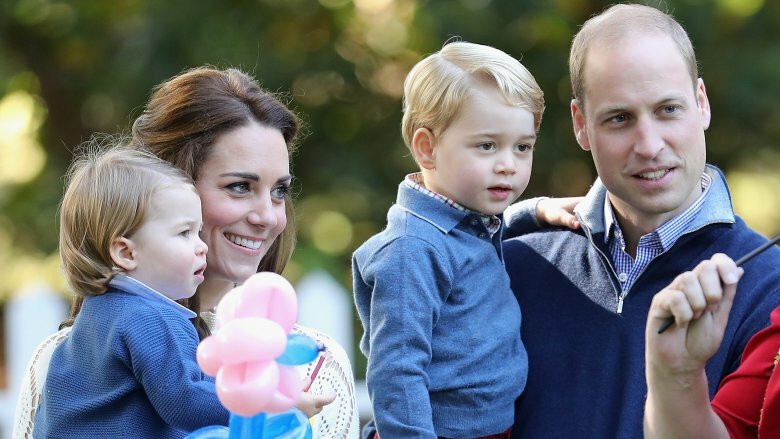 Despite being three of the most famous children in the world, Prince William and Kate Middleton are determined to give George, Charlotte, and Louis as normal of an upbringing as possible. Speaking to British GQ in May 2017, William revealed, "Stability at home is so important to me. I want to bring up my children in a happy, stable, secure world, and that is so important to both of us as parents. I want George to grow up in a real, living environment, I don't want him growing up behind palace walls, he has to be out there. The media make it harder but I will fight for them to have a normal life." 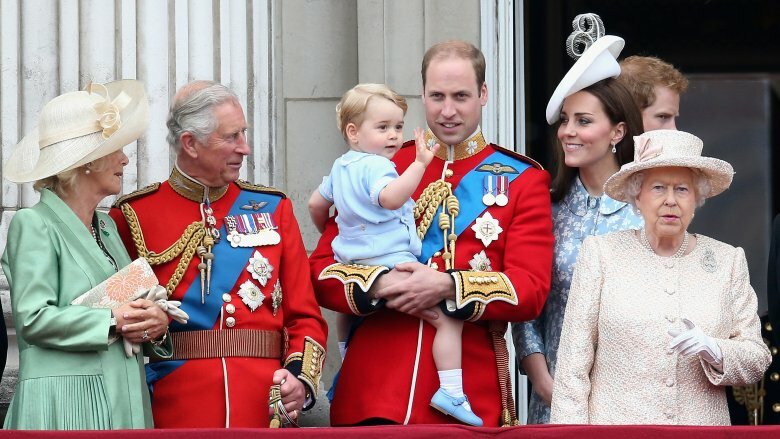 George, Charlotte, and Louis are third, fourth, and fifth in line to the throne, respectively. 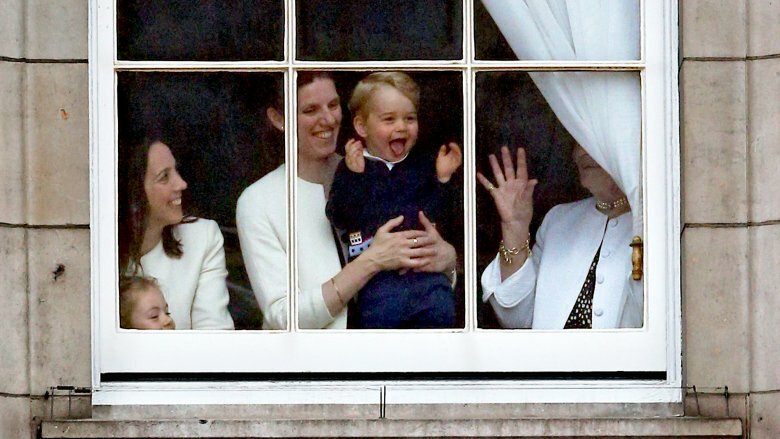 Which means, in all likelihood, little George will one day be King. Still, don't expect William or Kate to share that news with him anytime soon. "As far as we are concerned within our family unit, we are a normal family," William told the BBC in 2016. "I love my children in the same way any father does, and I hope George loves me the same way any son does to his father. We are very normal in that sense." He added, "There'll be a time and a place to bring George up and understand how he fits in, in the world. But right now it's just a case of keeping a secure, stable environment around him and showing as much love as a I can as father." If you've managed to stumble upon a photo of Prince George in the last four years, chances are, his insanely adorable fashions have prompted you to say everything from "OMG!" to "How is it possible for a child to be that cute?" Well, perhaps unsurprisingly, this royal is already shaping up to be quite the fashion icon. According to Vogue, George has been influencing the children's fashion market since the day after he was born, when the blanket he was wrapped in for his official debut sold so many iterations that it actually crashed designer Aden + Anais' website. Other brands worn by George have reported similar sell-outs, to the point where Vogue has described the obsession with his outfits a "national phenomenon." As for why he's gotten so much attention, Vogue argues it's because his style "firmly twists poeticism with pragmatism" while often remaining affordable at a mid-price level. "It is sweet, but not staid, traditional but not out-of-touch. Its power, just like his mother's, is that it errs reassuringly on the side of normalcy," Vogue wrote. Although they were born nearly 20 years after the death of Princess Diana, it's very important to Prince William and Kate MIddleton that their children feel connected to their late grandmother. 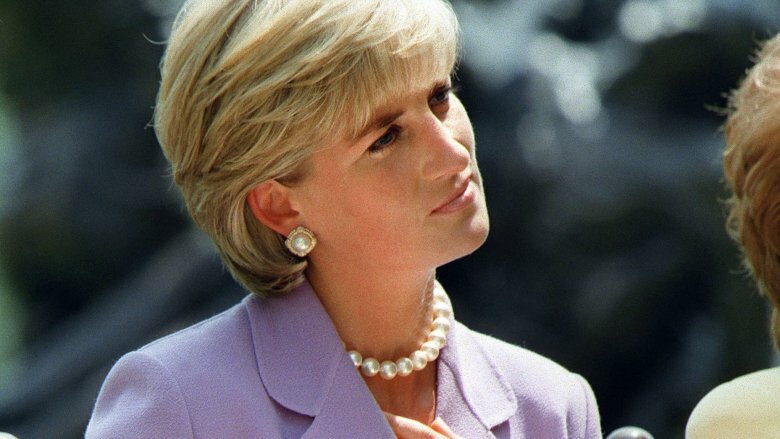 According to a 2017 documentary (via Today), William revealed that he often shares stories about his mother, "Granny Diana," before the kids go to bed. "We've got more photos up around the house now of her and we talk about her a bit," he said. "It's hard, because obviously Catherine didn't know her so she cannot really provide that level of detail, so I do, regularly putting George and Charlotte to bed, talk about her and just try and remind them that … there were two grandmothers in their lives," William said. "So it's important that they know who she was and that she existed." As a special touch, William and Middleton honored Princess Diana via Charlotte's full name, Charlotte Elizabeth Diana. In the United States, Hollywood celebrities are arguably the closest thing to royalty. 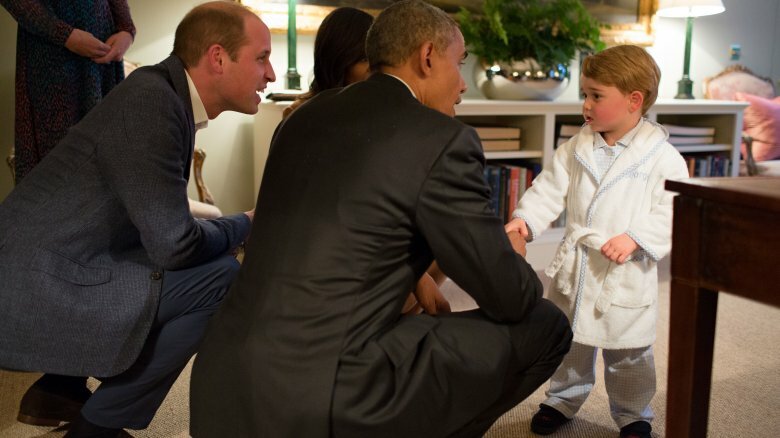 With that in mind, it makes some sense that George and Charlotte have already rubbed shoulders with members of the American elite. 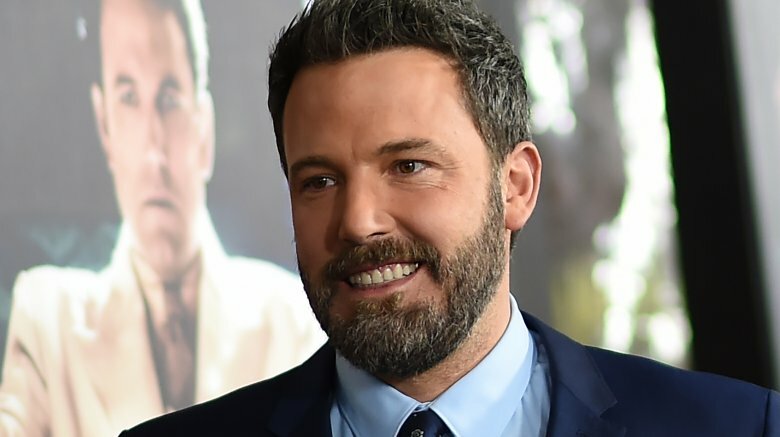 Speaking on Graham Norton in November 2016, Oscar-winner Ben Affleck recalled a stay in London in which he and his son, Samuel, accidentally had a playdate with the royal family, one that may or may not have gotten little Samuel sick. 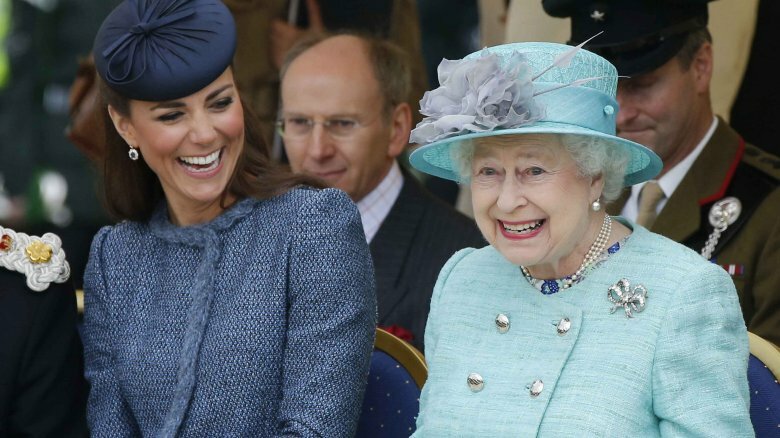 "Despite going to Windsor Castle, Tower of London and Buckingham Palace, we didn't see one royal," he said (via E! News). "Then, when it was raining, I took my youngest to one of those kids' indoor play parks. It was pretty empty and then I noticed this weird vibe from the other grown-ups. They were all very well dressed and they had earpieces and I thought, 'For a kids' place, this is tight security.'" Then, everything clicked. "I was the very last person to realize that Prince George and Princess Charlotte were in there playing with my kid," he said. "I can now tell him that he got a cold from the King of England!" As is the case with every aspect of royal life, there is a specific protocol for the birth of heirs to the throne. According to the Associated Press, the queen is notified first, followed by a very specific and unceremonious announcement to the public via the placement of "a foolscap-size document, with the palace letterhead, giving the baby's gender and time of birth" onto "a wooden easel placed in the frontcourt" of Buckingham Palace. Of course nothing is official nowadays until it's on social media, so Facebook and Twitter messages declaring the birth of William and Kate's three children were also simultaneously issued from verified accounts. While the world anxiously awaited the arrival of George, Charlotte, and Louis, their grandmother was noticeably cool as a cucumber — at least, in the case of Louis, that is. According to the Daily Mail, Queen Elizabeth took her prized pony, Carltonlima Emma, out for a trot around Windsor Castle. 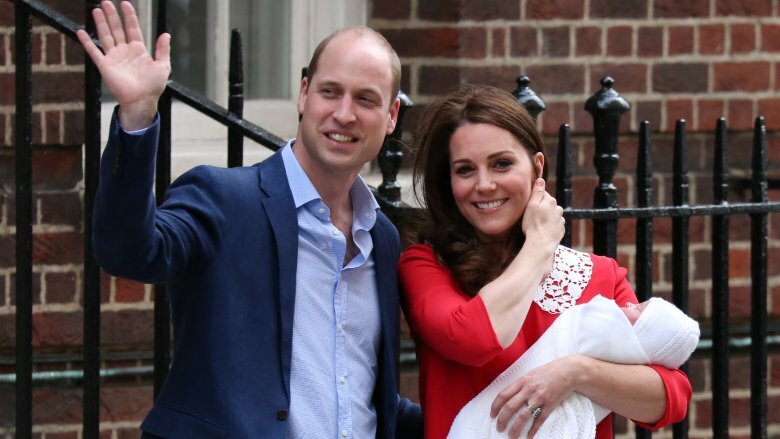 She flew by helicopter into Kensington Palace — a 21-mile flight from Windsor — about a week later for her first official visit with her newest grandson. Though he only weighed in at 8lbs. 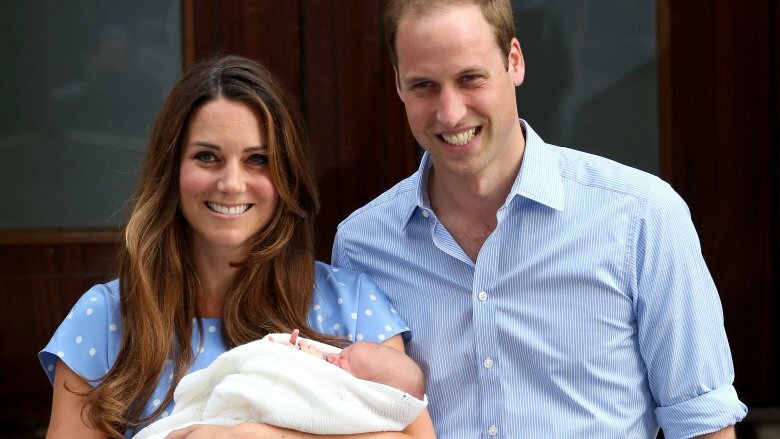 7oz., William and Kate's youngest, Louis, was also their heaviest. In fact, he wasn't just the biggest baby of the immediate family — According to the Daily Mail, he is the "heaviest future king to be born in recent history," beating his big bro by an ounce. Charlotte was the smallest of the bunch, making her debut at 8lbs. 3oz. Louis is not, however, the heaviest royal baby in general. That distinction, according to The Sun, belongs to Savannah Philips, who is the daughter of Queen Elizabeth's grandson, Peter Phillips, and who tipped the scales at 8lbs. 8oz. when she entered the world on Dec. 29, 2010. Seriously though, those are some extremely close figures. Is there some sort of royal decree as to acceptable baby weight for these kiddos? While a lot of kids tend to be frightened by a spot of thunder and lightning, the future King of England doesn't mind it at all. In fact, during a visit to the Ronald McDonald House in London on Pancake Day in February 2017, Kate told a child there that George "likes" storms, according to Hello. She also told an inquisitive youngster, who had asked where George was, that he was celebrating the breakfast-themed holiday "at his Montessori nursery" by whipping up his own batch of flapjacks. George likely had his school's cleaning staff on their toes that day, as Kate had previously spoken about his kitchen habits during another goodwill visit a few years prior. Addressing a group of kids who were making "chocolate crispy cakes," Kate said, "When I try to do this with George at home, chocolate and the golden syrup goes everywhere. He makes so much mess. It's chaos," reported People. Though he became a meme when he was barely out of diapers, Prince George's public appearances tend to be nothing short of squeal-inducing parades of cuteness. However, as anyone who's ever been near a toddler knows, there is a flipside to that coin. In fact, both William and Kate have dropped a few hints that their eldest child can sometimes be quite a handful. For example, in 2017, William revealed that the then-3-year-old could be "noisy" and liked "charging about." Kate even said that George had to be left out of a 2016 royal visit to India because he was "too naughty." She added, "He would be running all over the place." Of course, there was also the time Kate brought George to a museum to see dinosaurs because he loves dinosaurs, but he ended up being "more interested in a pigeon they found there" than anything the museum had to offer, reported People. In other words: You can call a toddler a future king, but you'll still be stepping on his Legos long before he's ready to wear the crown. Luckily for William and Kate, they may have gotten the yang to George's ying in little sister, Charlotte, which we've come to know thanks to a rare description of the girl by her grandmother. Speaking with a 10-year-old schoolgirl who was visiting her Sandrigham estate, the queen asked the student if she "looked after" her little sister. When the little girl's mother said, "It's the other way around," the queen said, "It's like that with Charlotte and George," reported People. When she was just 9 months old, William described her personality (via The Telegraph) as "very easy" and "sweet." He also added, "But all the fathers say to me 'just you wait, when they get to nine or 11 they get crazy.'" Charlotte celebrated her third birthday in May 2018 and was soon after spotted "kicking off her shoes and putting her best somersaults on display" while William played in the Maserati Royal Charity Polo Trophy. Oh well, maybe Louis will be the disciplinarian.